Research: I did tons for a project I'm starting but none on my own family, with the exception of what I found and posted in the Robert Courtney Green article. For March, I want to try and focus more on researching my own lines and going through all the February research I did. Writing, Transcription and Education: watched some of the RootsTech webinars and some of the new lessons over at FamilySearch. I also indexed about 150 names for FamilySearch. Unfortunately, I didn't meet my minimum of six blog posts for February. For March, my goals are to index at least 200 names, write 7 blog posts and re-watch the Curt Wicher RootsTech presentation (I was multitasking the first time of watched and ended up missing a lot). Organization: Continue purging papers I don't need any more. This is is my year-long organizational goal (see January To-Dos) and I'm making some good headway. My ultimate goal is to fit all my genealogy papers (excluding books and other educational materials) on one bookshelf (when I started this project I had papers filling up two large drawers, a paper bag, two piles, on my dresser, a box in my closet and one bookshelf so I've got my work cut out for me!). Research: Haven't even started this one. 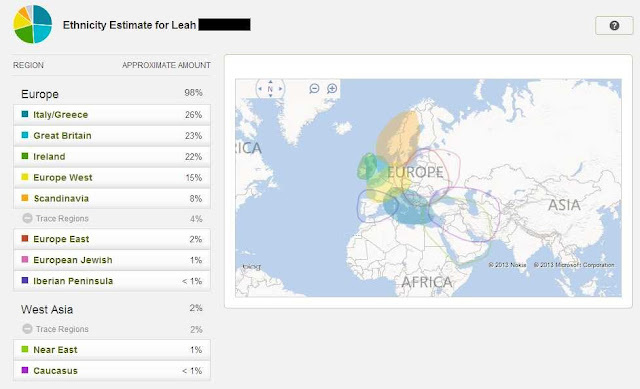 My goal is to find information on my great-grandmother, including what her maiden name was, who her parents were and where in Italy she was actually from. Writing: My goal was to begin and maintain a family record (like ones in a Bible). I've got my "record book" and I've started adding older events to it but since there haven't been any family events to record thus far (that I've been told of) its been pretty slow going. But hey, at least I haven't completely forgotten about the project so that's something. Organization: My goal was to purge which is what I've been doing so I get a gold star (or at least a quarter of one) for this goal thus far.